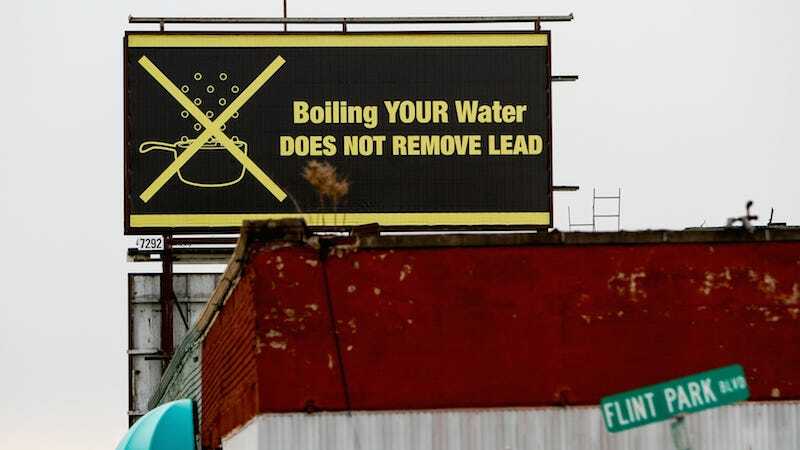 Two cross-breed dogs in the Flint, Michigan area have tested positive for lead toxicity, the Detroit Free Press reported. One is a pet and the other is a stray. State veterinarian Dr. James Averill reportedly said that the test results had been confirmed in October 2015 and January 2016, but officials had decided to keep the information private. He declined to reveal the identity of the owners, but did say that the cases had come from Genesee County, a major location affected by the Flint water crisis. The state is in contact with area veterinarians, and the “vast majority” of tests for lead in dogs has been negative, Averill said. But people who notice their pets are acting unusual are encouraged to see their veterinarian. If a veterinarian determines a dog may have lead toxicity, the lab testing is provided free of charge, he said. And the number of requests has been increasing. But Averill also said that symptoms can vary widely. Averill also told owners to watch for changes in normal behavior.